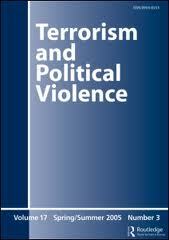 Research has shown that there is no profile of individual characteristics of group-based terrorists, but profiling the characteristics of lone wolf terrorists may yet be possible. In this article, we bring together suggestions about what a lone wolf profile might look like. We describe a two-pyramids model that distinguishes radicalization of opinion from radicalization of action, then use this model to review three case histories of lone wolf terrorists. We also review results comparing two kinds of mostly lone actor violent offenders: assassins and school attackers. Results highlight the gap between radical opinion and radical action, and suggest two profiles of lone wolf terrorists: disconnected-disordered are individuals with a grievance and weapons experience who are social loners and often show signs of psychological disorder; caring-compelled are individuals who strongly feel the suffering of others and feel a personal responsibility to reduce or avenge this suffering.